On a recent visit to New Orleans, J and I got to take a cooking class at the amazing Langlois Culinary Crossroads. The very appropriate slogan is “decadent with no apologies” and that proved more than true during our class. We made several wonderful dishes, including an Andouille Cornbread Stuffed Artichoke. Unfortunately, the artichokes at home, didn’t quite look as good. 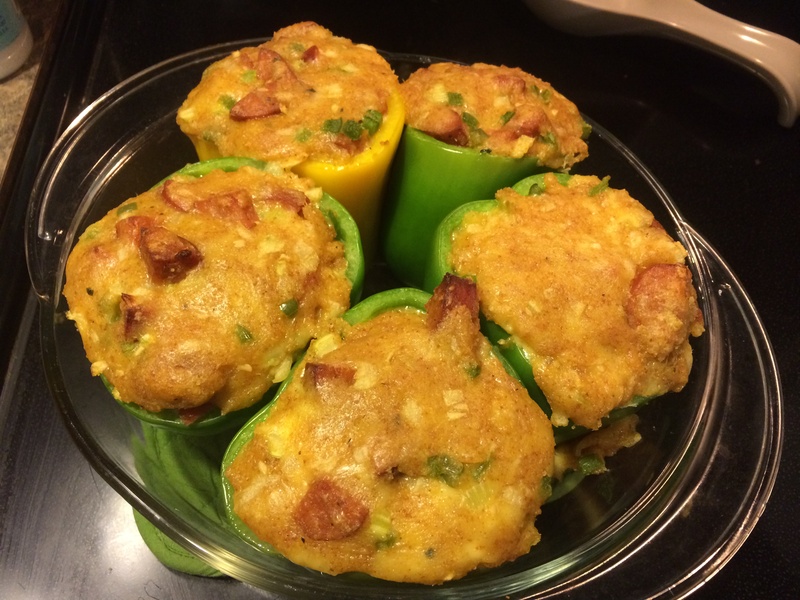 Luckily, Chef Amy told us about 15 ways to use the same stuffing/dressing and we improvised stuffing a green pepper instead. 1/2 cup chicken stock only use if the mixture is too dry and crumbly! 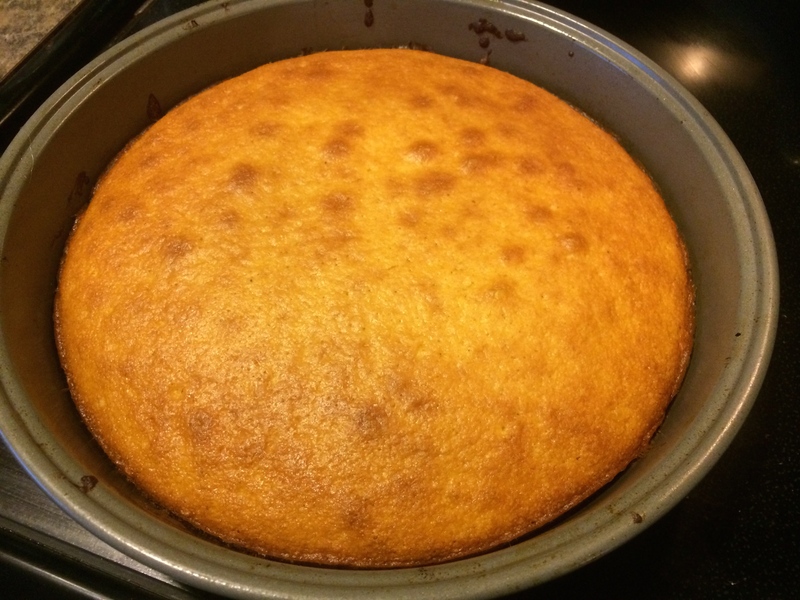 If not using pre-made cornbread, bake the cornbread according to package instructions. Preheat the oven to 350 degrees. 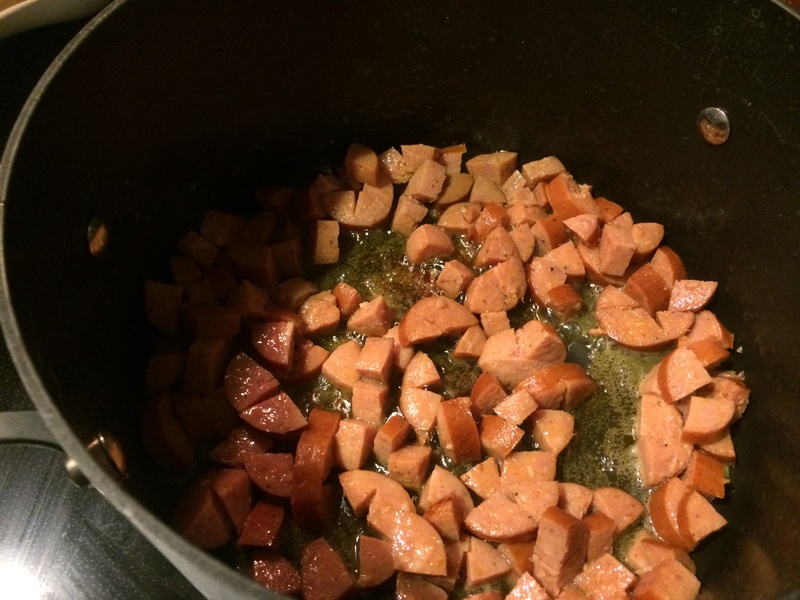 In a large saute pan over medium heat, melt the butter and cook the andouille until browned. Then add the onions, bell pepper and celery (the holy trinity) and the garlic until the vegetables are wilted. Add the pinches of Emeril's essence cajun seasoning to taste. You want it to be a little red. That's from the paprika, not the cayenne, so don't panic. 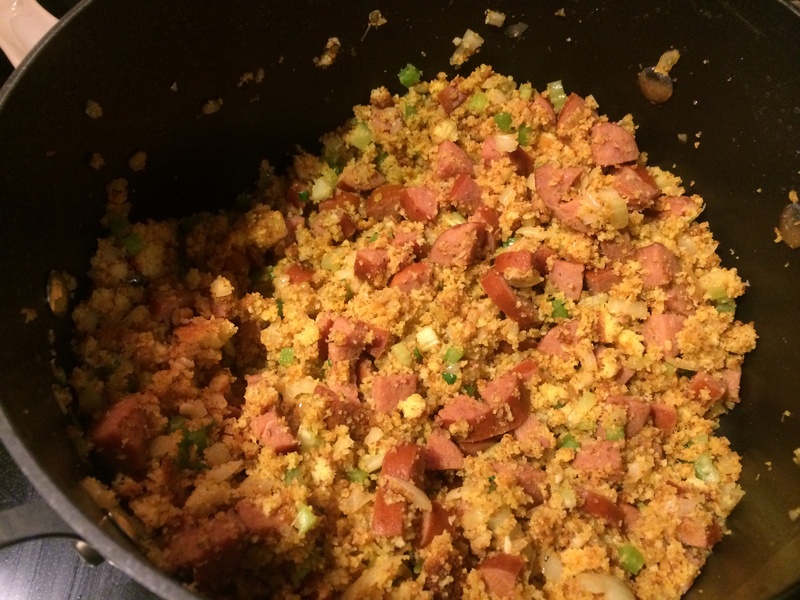 Remove from heat and add cornbread, parsley and green onions. Mix well and allow to cool. Add the cheese and mix again. If the mixture is too dry and crumbly, add chicken stock a little at a time to make it more like a dough (it should stick together). 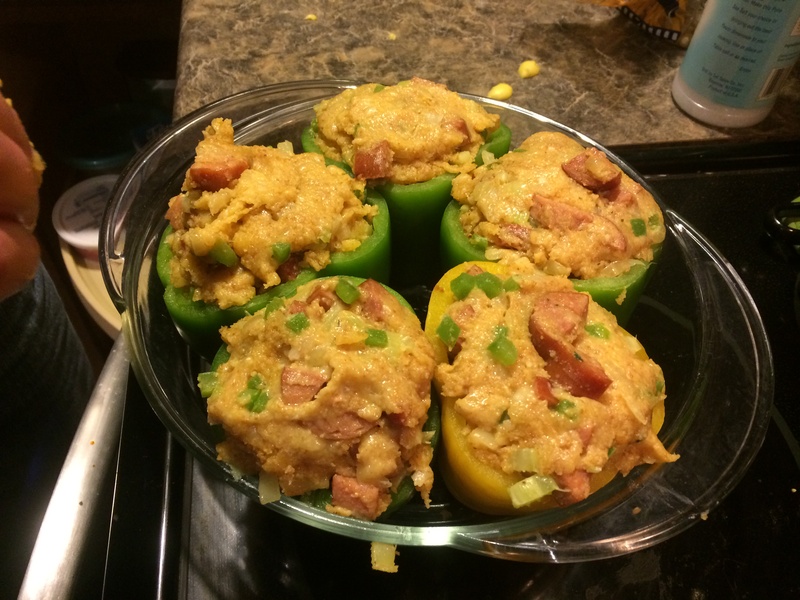 Stuff the peppers and bake for 15 to 20 minutes. I love this super filling dish. It is light enough for a summer meal, but surprisingly filling. Plus, if you have left over mix, Chef Amy suggests freezing it in patties for a nice side dish.